A HUGE congrats to the November VIP Sweepstakes winner! You'll be flying out to San Diego to hang with the entire throtl/Huntquarters crew for an all expenses paid, jammed packed weekend! This is a trip you'll never forget. 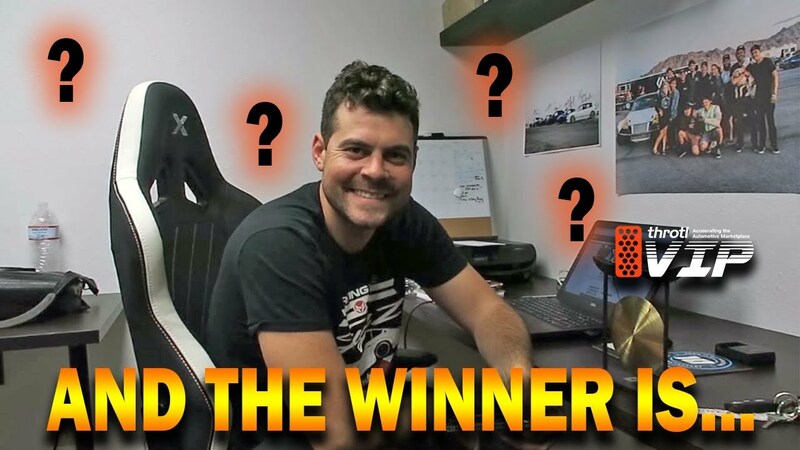 Watch the video below to find out if you are the winner! We are giving away amazing prizes EVERY SINGLE MONTH for throtl VIP. December, we are giving away a full air suspension setup for ANY car!!! Signing up is easy...click the link below.